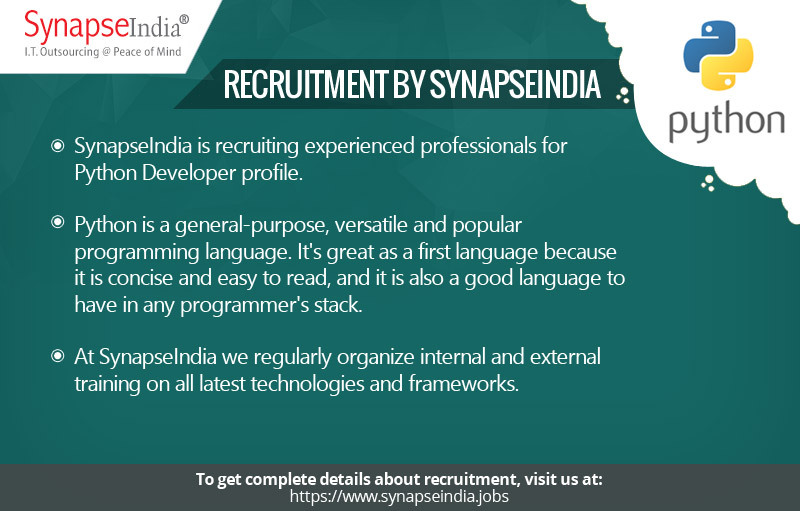 SynapseIndia recruitment department is hiring experienced professionals for Python Developer profile. The job location is Noida. Python is a general-purpose, versatile and popular programming language. It’s great as a first language because it is concise and easy to read, and it is also a good language to have in any programmer’s stack. At SynapseIndia, we regularly organize internal and external training on all latest technologies and frameworks.